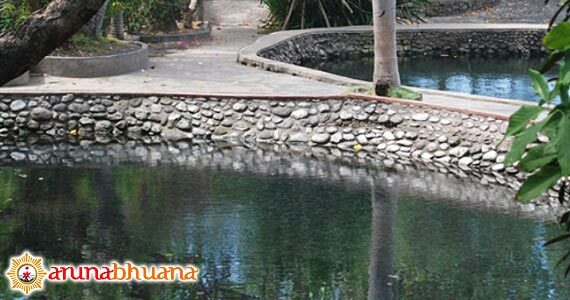 Air Sanih or Yeh Sanih is a tourist attraction with a swimming pool, which is famous for its natural springs. 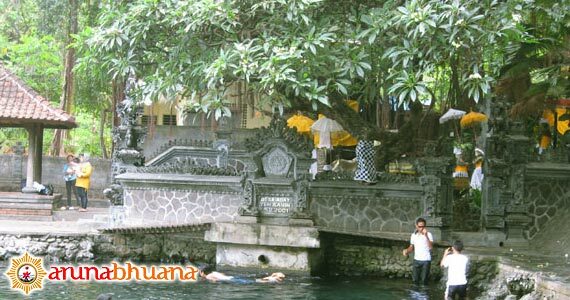 Located in the village of the District Sanih, Kubutambahan Buleleng Bali is about 17 km east of Singaraja city. The bathhouse is located right by the beach, which is only a few meters from the sea. But the unique is the water not salty at all, because the water at this pool flow and comes from Lake Batur. People believe the water that comes out without stopping, it is the sacred springs of Mount Batur in Bangli regency. Distance Lake Batur to Yeh Sanih is about 40 kilometers. Air Sanih already known as a tourist attraction for local residents since 1930, and now this place visited by domestic and foreign tourists. There are two pools in this natural swimming pool, one for adults and one for children. A few meters to the north is surrounded by the sea is relatively safe for swimming and other water sports activities or just lazing lying on a black sand beach. It is located directly overlooking to the open sea with its own beauty and charming beach scenery. These baths have a very suitable environment for those who seeking peace, relaxation and get off from daily routine. The Natural atmosphere is very beautiful with crystal clear water greenish, will make you feel very comfortable and relaxed while in the bath. According to the legend that this attraction Air Sanih or Yeh Sanih is used as a bathing place for young couple to make their relationships more lasting. Around this tourist object has provided several small accommodations and restaurants also parking areas. 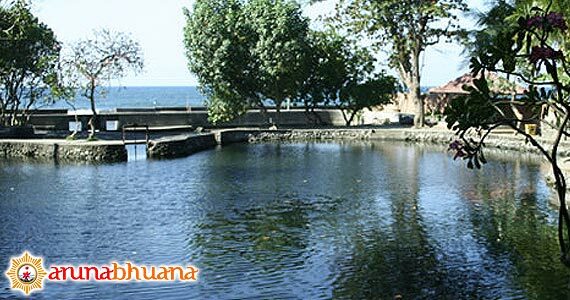 Air Sanih is one of the attractive tourist destinations on the coast of Lovina Buleleng Bali and is not far from Lovina Beach Resort. About 500 meters, there is a place for diving or snorkeling, to see beauty underwater view and coral reefs that very interesting. In addition, the water in Air Sanih is also often used in Hindu religious ceremonies.